Home HEALTH DOCTOR PROFILES Thomas Francavilla, M.D. Due to recent improvements in technology — from nerve monitoring equipment to computer-aided navigation — spinal and neck surgeries have advanced dramatically. In the past, “open” surgeries on the neck or spine involved making a large incision to allow the surgeon to view and access the anatomy. However, due to technological advances, back and neck conditions can now be treated with minimally invasive surgical techniques. Instead of removing muscle attachments from bone, during MIS, the muscle is spread and pushed out of the way. The result is that the risks and surgical complications are less and there is a much faster recovery time. 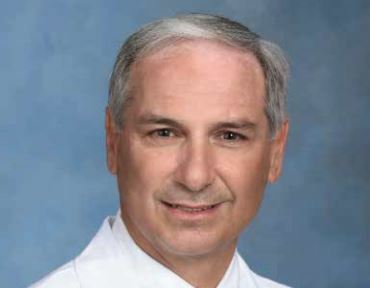 Dr. Francavilla, who brings his 32 years of expertise to patients at the Tulane Covington Neuroscience Clinic, also performs surgeries at Lakeview Regional Medical Center and is the Clinical Assistant Professor of Neurosurgery at the Tulane University School of Medicine’s Center for Clinical Neurosciences. His impressive background includes a medical doctorate from the Tufts University School of Medicine, neurosurgery training at George Washington University (where he received numerous awards) and a Fellowship in studying brain tumors at the National Institutes of Health. After growing a successful practice as a neurosurgeon, Dr. Francavilla recognized that minimally invasive spine surgery was a major advance in helping patients suffering from neck- or spinal-related pain. Although he performed minimally invasive procedures since 2002, his fellowship with the Laser Spine Institute established him as a leader in MIS. next Michael W. Hartman, M.D.